Image shows block of 2 top. Supplied as 4 tops so double this size. Overall size 4000 x 1600mm. Each top 2000mm x 800mm. Built in blocks of four, and costed in blocks of four. Set back intermediate legs allows free knee movement. 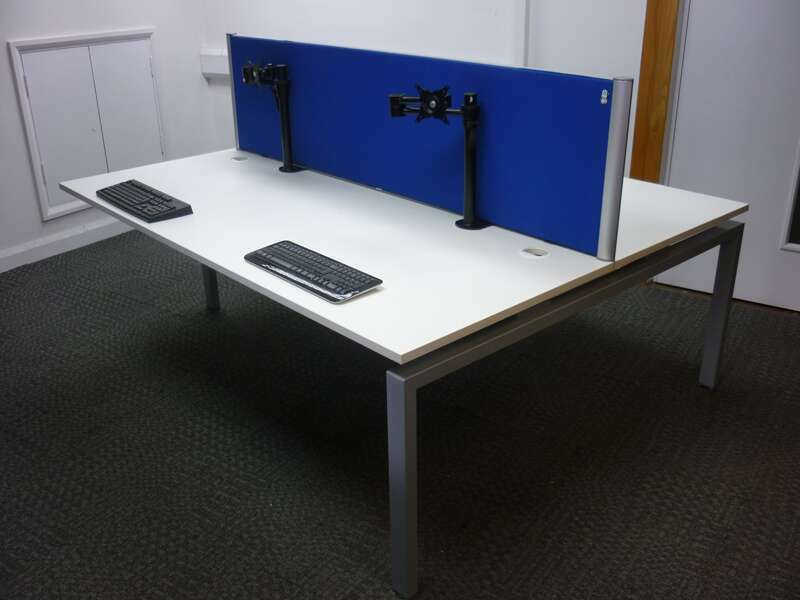 2000 x 500mm desk mounted screens included, mixed colours (red, blue and green) available. White desk under pedestals at £35 each. Monitor arms single at £45 each.